Matched to any other machine in its class, you’ll quickly see how the VersaHANDLER® telescopic tool carrier gives you the most maneuverability on a jobsite. It features proportional-flow power steering and three steering modes. All-wheel steer provides the best job site maneuverability. Use the all-wheel steer mode to make quick, tight turns you can’t achieve in an articulated loader. Crab steer allows the machine to maintain a straight centerline when positioning a load or hooking up to an attachment. Use it for side-to-side positioning in tight workspaces. Front-wheel steer mode is best for high-speed road travel or when pulling a trailer. 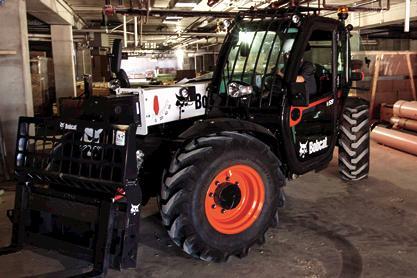 The front-wheel steer mode permits high-speed road travel at 18.3 mph, often eliminating the need to haul this machine on a trailer from jobsite to jobsite. Proportional-flow power steering enables the four wheels to mimic the turn you make with the steering wheel proportionally. 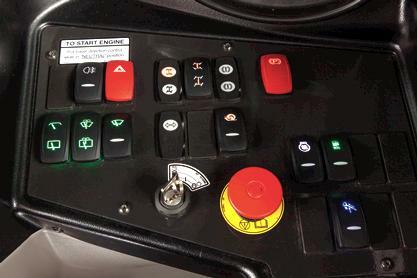 This intuitive connection between the operator and wheels increases steering accuracy.